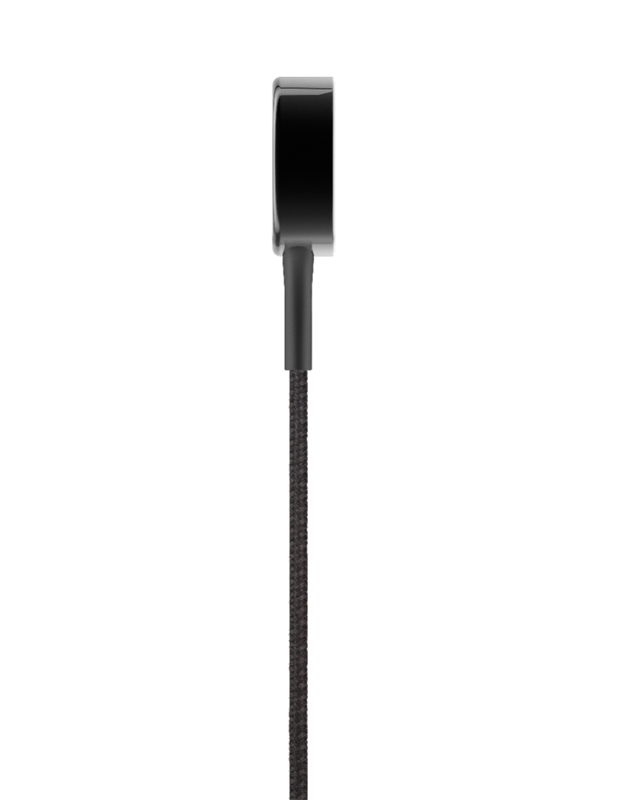 DuraTek™ Apple Watch Charging Cable is rated 4.9 out of 5 by 38. Smartwatches send us calendar updates, track our steps, and forward messages, that’s why reliability is important. DuraTek cables are designed to deliver a charge in even the most demanding situations. Aramid fibers reinforce the inner wiring for added strength while abrasion-resistant nylon forms a tough outer jacket, and highly flexible insulation minimizes damage from friction. This high-performance combination reinforces the cable at the stress points to provide ultimate durability. Please, note: This Magnetic Charging Module is 16% larger than the original Apple Watch Magnetic Charging Cable that came with your Apple Watch. From home to office to gym, charge your Apple Watch anywhere, just throw your cable in your bag and go. Resistant aramid fiber is used to reinforce protective clothing and strengthen products like tennis racquets and surfboards, where durability is key. The Aramid strands built into the DuraTek Apple Watch Charge Cable add strength and provide structure that protects the wires inside from damage. Rest assured, your cable can keep up with your busy lifestyle. 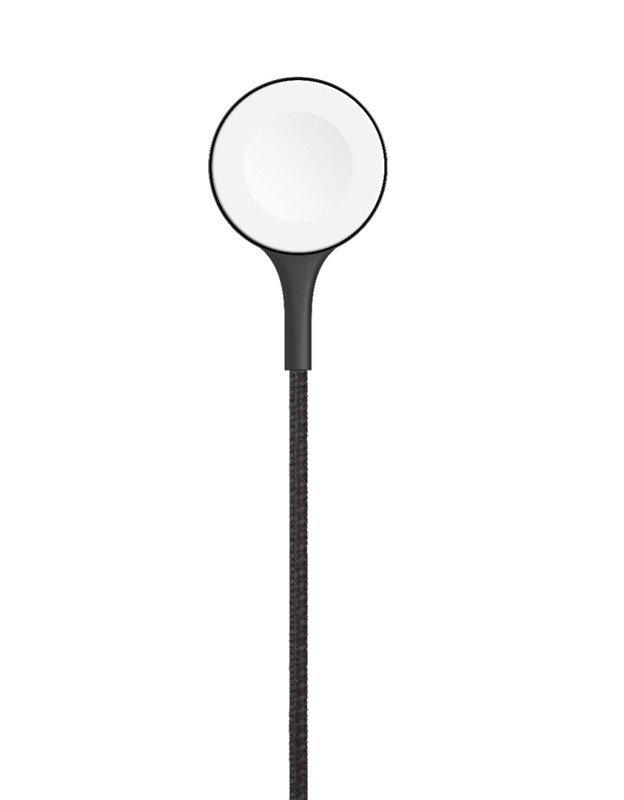 Built to withstand all the twists and turns of life, this 4-foot cable reaches from floor to nightstand with ease. The external cable is made from a hard-wearing nylon material that’s double braided so it can resist abrasions caused during transportation or rubbing against your desk. It’s also more flexible, lightweight and less prone to fraying. Thanks to protective insulation the wires inside are protected from damage as the cable bends and flexes. The highly flexible insulation within a DuraTek cable allows it to bend easily. 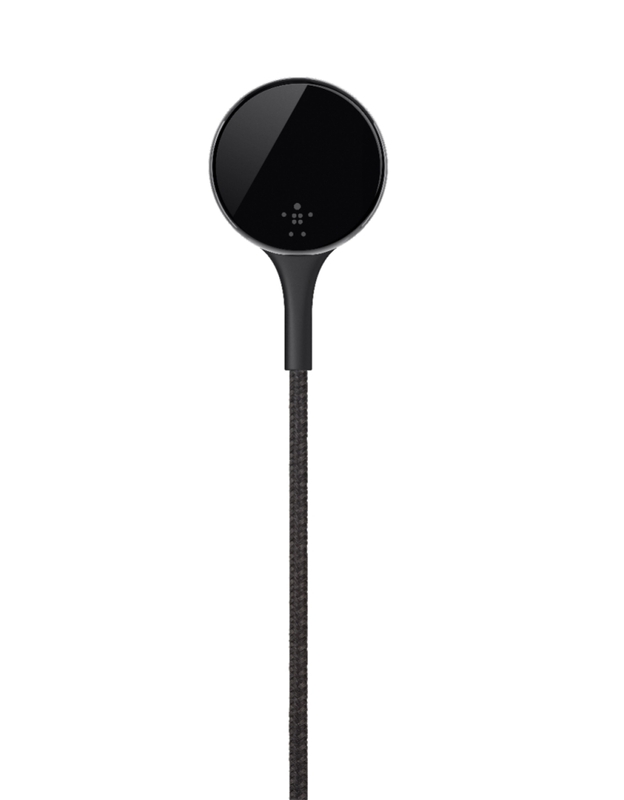 The wires within can move without damage while minimizing friction, so you don’t have to sacrifice mobility. Magnetic inductive charging makes it easy to achieve an optimal charge. Simply hold the Apple Watch Charging Module near the back of your watch, the magnets will do the rest. A perfect alignment with your Apple Watch allows for an optimal charge. 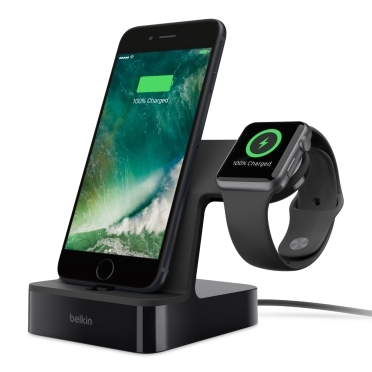 The Charging Module also enables you to use your Apple Watch in NightStand mode while it charges. Rated 5 out of 5 by Jcart9988 from Love the toughness! I much prefer these chargers over the Apple chargers because I love how durable they are! They look nice too and come in all different colors! Rated 5 out of 5 by JoshG from Very durable cable This cable is a braided nylon style so if you need to transport your cable frequently because of travel or wanting to keep your watch charged more, this one is great!, I also like that its a black cable so won't show that its dirty since traveling with it. Rated 5 out of 5 by mkatz from Love the bendy cable I needed a spare Apple Watch charging cable to take on trips. 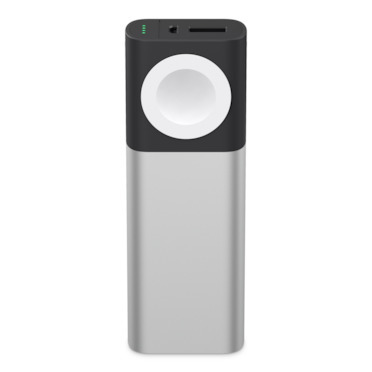 I've had good luck with the Belkin products so gave this a try and it's been great! Where the base is so light without a watch sitting on it, my Apple cable bends and twists, but the Belkin cable (made of Kevlar) is flexible and bendy so you can shape it and move it so the base stays flat and snakes easily around furniture and the magnetic base holds the watch in place. Packaging was good and product was just as expected and a bit nicer due to the great cable material - better than the stock Apple cable. You will need to charge this via USB as there's no plug piece in the box, but I have spare plug pieces and use my computer USB, whichever is easier at the time. Rated 5 out of 5 by BJ K from A Great Apple Watch Cable Full disclosure: I was sent this product to review. 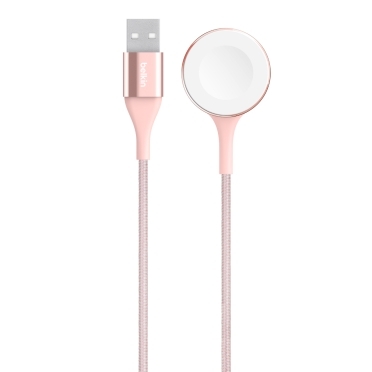 This is a great Apple Watch cable. As far as charging goes, it works exactly as you would expect. The braided covering gives the cable a great look and feel. I have the black cable and I think this cable feels more durable and looks more professional than the official Apple cables. This cable is also longer than the cable that came with my Apple Watch 2 which has also added to its convenience. 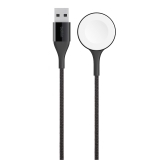 This is a great charging cable for an Apple Watch. It even outshines the ones Apple makes! Rated 5 out of 5 by Arnell The Blaster from Great quality charge cable... This is a great quality product. The build is seems to be a much higher build than the OEM charger that came with my watches. The materials and build quality is excellent. I'm not much into cables in the sense that they either work order don't work. If they work, it's then about build quality. It excels at this. The key is longevity. My OEMs have not failed or been worn, simply by the nature of the cable. It doesn't take as much abuse like a phone cable charger. That being said, I get a feeling this will outlast my OEM even though I may end up using this as my primary cable. I would recommend. Rated 4 out of 5 by Orson_Welles from Works well and looks good. The product is pretty self-explanatory. Looks good, love the color contrast. I mean it works and it feels solid. 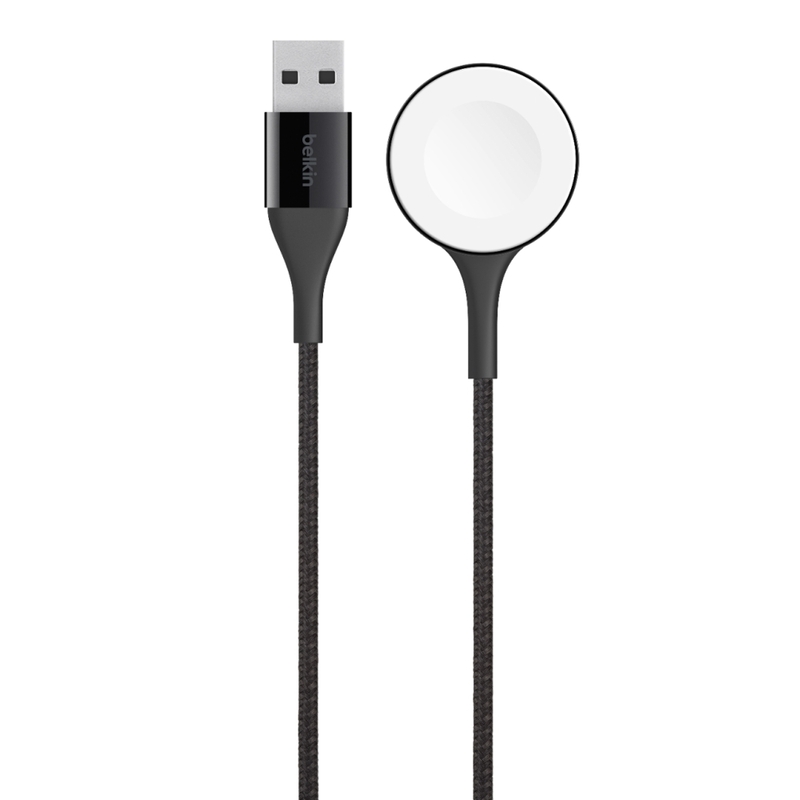 Rated 5 out of 5 by Quartz452 from Braided iWatch charger Love the braided iWatch charger! I’m glad Belkin thought about the iWatch users. I travel a lot and have a tendency to go through a lot of charging cables and they’re watch chargers are not that easy to find if yours breaks while traveling. So far so good! Great length, so that I can keep it close by vs the floor! Certainly recommend to have as a spare or if you need a new watch charger it’s better to go with a long lasting one. I received this product free to test and for my honest review. 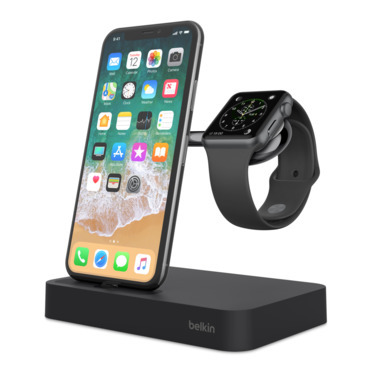 Rated 5 out of 5 by Product Review Freak from Durable charger The Belkin Apple Watch DuraTek Cable is great for travel or a rugged replacement for your original charging cable.I strongly believe that if you are going to pick up a second/replacement charging cable, it should be a braided one. They are simply far more durable than plastic coated ones.